A team led by Hong Zhou, a professor of microbiology, immunology and molecular genetics and faculty director of the Electron Imaging Center for Nanomachines at UCLA’s California Nanosystems Institute, collaborated on the research with a team led by Polly Roy, professor of virology at the London School of Hygiene and Tropical Medicine. The research was published in the journal Nature Structural and Molecular Biology. 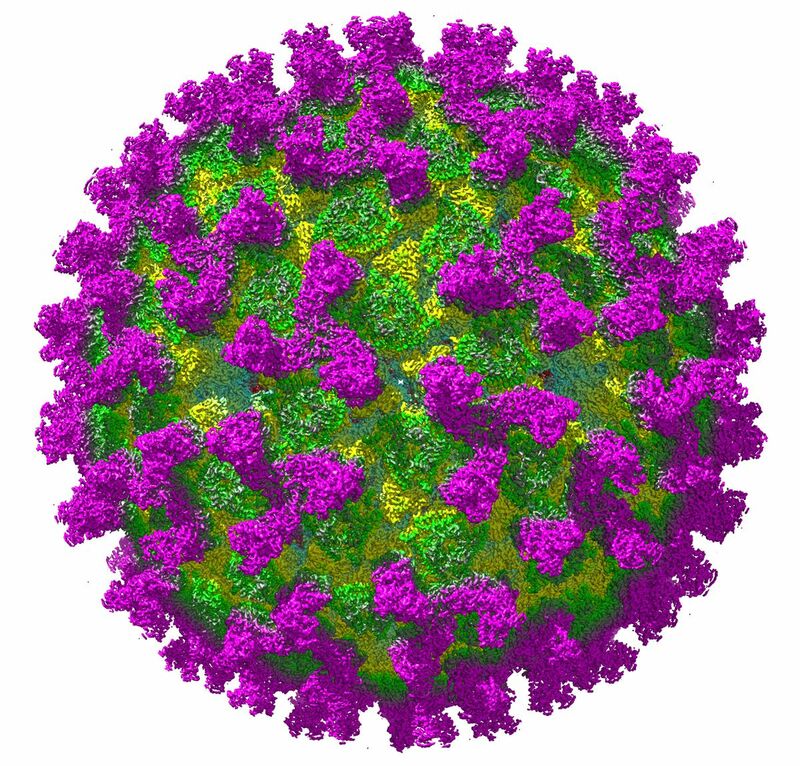 Using cryo-electron microscopy, the researchers discovered the Bluetongue virus’s two-step process for infecting healthy cells. Cryo-electron microscope image of a Bluetongue virus. The virus has sensor proteins on its surface that detect changes in the acidity of its environment. When these proteins sense higher acidity caused by proximity to the target cell, the virus unfurls a protein structure that penetrates the outer membrane of the cell and anchors to it, causing infection. The scientists confirmed this mechanism by lowering the acidity around the virus, which caused the protein structure to detach and refold. “The advantage we have with cryo-electron microscopy is its ability to resolve three-dimensional structures of nanoscale objects in their native environments. This ability, with the revolutionary technology for counting electrons, enables us to collect vast data that we use to reconstruct three-dimensional images of these biological structures, often for the first time,” Zhou said. The study’s lead author is Xing Zhang, scientific director of the Electron Imaging Center for Nanomachines. Other authors are Xuekui Yu, a project scientist in molecular biology, immunology and molecular genetics at UCLA, and Avnish Patel and Cristina C. Celma of the London School of Hygiene and Tropical Medicine.